Online marketing is one of the best ways to promote your small business. To market your small business correctly, it is necessary to have the right tools for the job. It is not good enough simply to wait for customers to find your business. Effective tools and services form an integral part of a successful online marketing strategy. They are necessary to make your small business successful. There are many small business marketing tools that you can use. There are tools for creating affordable websites, tools for reaching out to potential customers as well tools for analyzing the results of your marketing efforts. Google Apps is a cloud based service that includes a collection of useful tools and apps that allows businesses to work better and stay connected from anywhere. It makes it easy for your team to work more efficiently by giving access to key business data and services from a central interface. It also makes it easy for everyone to collaborate effortlessly. With Google Apps, your entire team has access to your intranet including email, calendar and documents, from any location or on device with an Internet connection. This is a very effective way to increase your productivity and give your team the communication tools they need to get the job done. 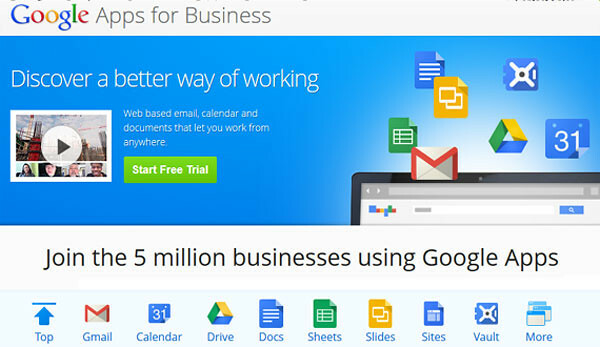 In addition to Google's easy to use email system, one of the features of Google Apps that small businesses will find particularly useful is Google Drive. It offers a cloud based file storage for every user in your team. This keeps all your business data safe in a central place and removes the need to email files back and forth. You are also able to edit documents, spreadsheets, and presentations in real time directly on your cloud storage without the need to download your files. You can also use Google Drive to create online forms and surveys that you can then email to customers or embed on your website or blog. Google is one of the best mediums for attracting customers for your business. But if your business is new, it will be very difficult for your website to rank on the first page for your desired keywords. Good organic ranking in the free results section of Google can take many months to obtain. 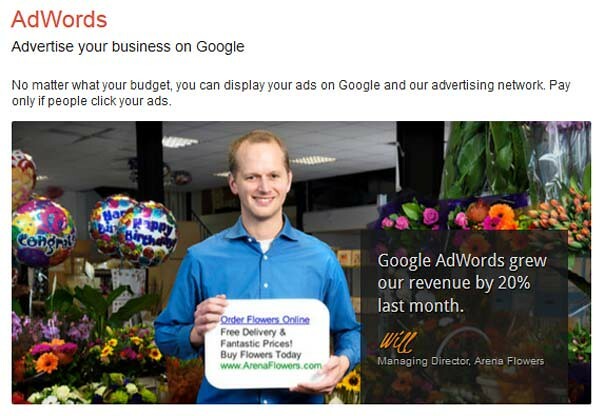 In the short term, small business can use Google Adwords to get their business listed for their preferred search terms. Google AdWords is the pay per click advertising service for advertising your business on Google. You are charged a certain fee based on each tome someone clicks on your ad and visits your website. A good website is a must for any business. A professionally design website with the right functionality can give a head start to your business and make it much easier to succeed. But a good website does not come cheap. Bespoke websites are a great option but due to high costs it is not the ideal option for every business. Fortunately, there are many affordable ways to create a website that you can take advantage of. 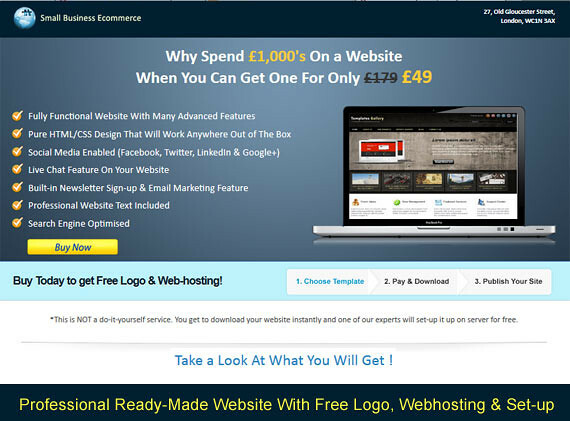 One such method is pre-made websites from smallbusinessecommerce.co.uk. They are one of the only places to offer up-market website templates with free logo, web-hosting and installation. Getting other users to share your website content on social networks is a proven way to get more coverage for your business and build steady traffic for your website. Although businesses should also share their web pages on the timelines of their own social networking profiles, it is also vital to encourage other users to do the same. The simplest way to do this by displaying social media buttons on your websites. There are many social media plugins you can use on your website. One of the most useful tool is Add This. 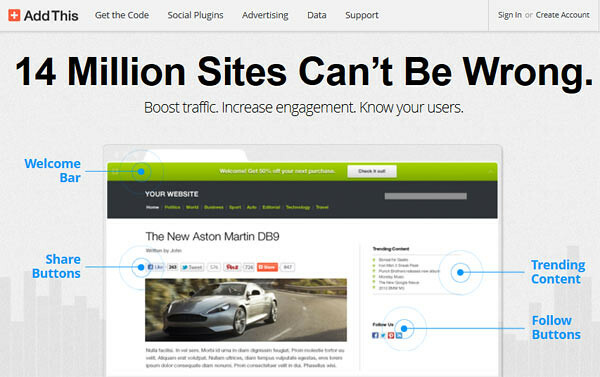 Add This offers a single tool that support dozens of social networks. You have the option to customize the look and size of your social media buttons and also choose where they are displayed on your website. It makes it easy to add social media features to your website effortlessly and without much technical knowledge. You simple need to insert one or two lines of code anywhere on your webpage, email or on other online documents where you want to display social media buttons. Small businesses spend a lot of money on communications. Staying in touch with partners and suppliers, calling potential customers, offering phone support and service clients in general and can result in huge phone bills for the business. If the business needs to call overseas, the costs can be even higher. In spite of the costs, this is a necessary expense for the business that cannot be cut. This is why a voice over internet service such as Skype can help. Skype is very popular among businesses and personal users alike. It offers a number of benefits for small businesses. It not only cuts costs, but it also offers other features that make communication and collaborations easier. Some of these features include conference calls, video chats, screen sharing, file transfers, and more. At a small fee, it is also possible to add a regular phone number to your Skype account and use it as a switchboard for your small business. Maintaining good cash-flow is a critical element for the survival for small businesses. The ability to accept payments from customers timely is a very important aspect of this. Today, it has become essential for small businesses to be able to process payments by credit or debit cards. Opening a free business account with PayPal is one of the easiest ways to do this. This will enable your business to accept payments online via your website as well as issue electronic invoices by email. You can also use it to accept payments over the phone. It is very easy to start and most business get accepted. It only takes a few minutes. The right small business marketing tools can save your business a lot of time and money. It can also make it easier to market your businesses. 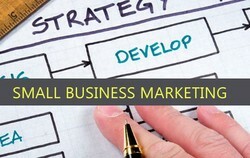 The six useful tools above can help you with your small business marketing. Make sure to try them out.